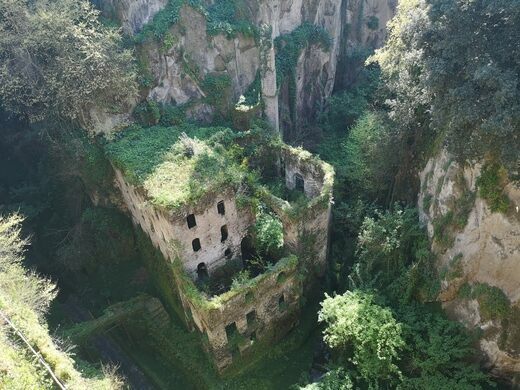 The “Valle dei Mulini,” or “Valley of Mills,” is a verdant grouping of modern ruins nestled at the bottom of a deep Italian crevasse. The deep crack in the rock which houses the crumbling buildings originated during a huge eruption which devastated the Mediterranean area 35.000 years ago. 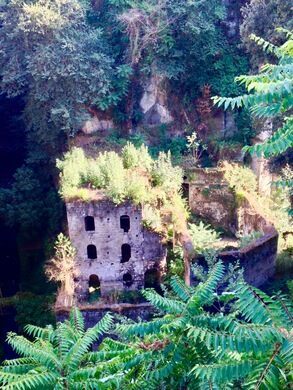 The flour mills, built from stone as far back as the 13th century, took advantage of the constant stream at the bottom of the valley. They ground all the types of wheat needed by the Sorrentine people in the surrounding area. After the flour mills were successfully established, other early industrial outfits began springing up to take advantage of the waters at the bottom: a sawmill was built which furnished the chaff used by local cabinet-masters and there was a wash-house used by women for personal hygiene and laundering clothes. 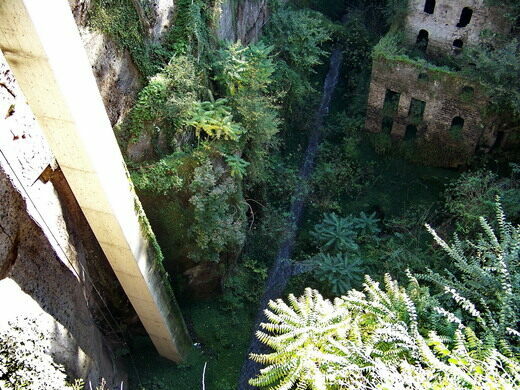 After the milling of flour was largely shifted to nearby pasta mills, the sunken area of industry became largely obsolete and the buildings were closed and abandoned in the 1940’s. Since their closing, the brick buildings have been slowly taken over by the aggressive greenery that thrives in the humid crevasse. 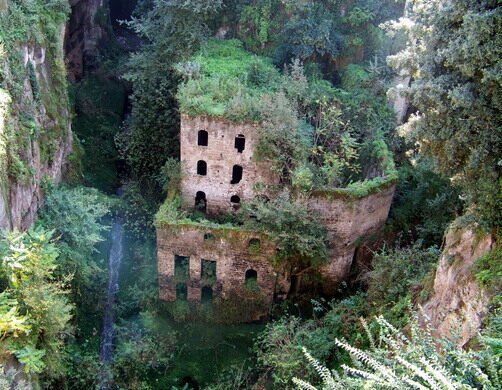 The gorgeous buildings hidden in the Valley of the Mills look like nothing more than a slice of what the world will look like when humans are gone. 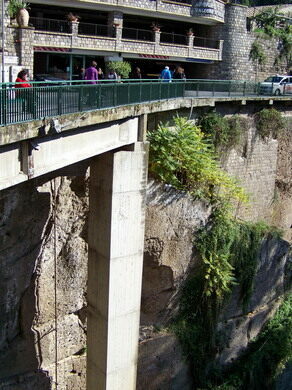 The mills can be seen from Viale Enrico Caruso which is suspended over the canyon at the intersection with Via Fuorimura. 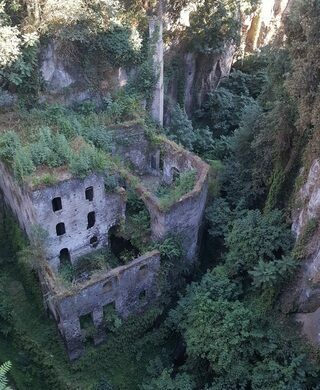 The Emperor Tiberius' palace of debauchery.